Woolworths is set to run in-store customer education on the new country of origin labelling laws. The education initiative will be conducted in partnership with the Department of Industry, Innovation and Science. For the next five weeks, booths will be set up in Woolworths supermarkets and staff will use them to explain the new labels. Free samples from Woolworths private label products which already display the new country of origin labels will also be given away. The new country of origin labelling laws, which require food products to display what percentage of ingredients are from Australia, came into effect 1 July 2016. All food companies operating within Australia have until July 2018 to make their labels compliant with the laws. Quite separately from the Woolworths initiative, the specialist firm FoodLegal offers an online training modules for food business. See here. Woolworths began using the new country of origin logos on its private label products in October 2016. 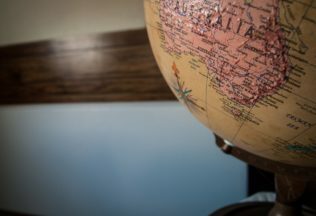 Head of Sustainability at Woolworths, Adrian Cullen, said the country of origin labelling system makes it easier for customers to better locate Australian made products. “We encourage our customers to visit the booths, sample the Woolworths Own Brand product on display and learn more about the new labelling scheme,” he said. Senator Arthur Sinodinos AO, Minister for Industry, Innovation and Science said three weeks ago a country of origin labelling advertising campaign was launched. He said Woolworths’ educational booths were an extension of the advertising campaign. “We appreciate Woolworths’ support for this initiative,” he said. Coles is testing low-sensory supermarket shopping for customers with autism. Sanitarium has launched a new version of Weet-Bix called ‘Weet-Bix Cholesterol Lowering’.